Cloud Brokers – What are they and do we need them? The explosion in Cloud services is increasing. For many, the rapidly forming definitions and standards of Cloud coupled with aggressive Cloud washing campaigns is creating a high degree of confusion. A Cloud Broker is an agent that sits between your company and the myriad of Cloud services that exist in the market. The job of the broker is to procure, transition, operate, and monitor those services on your behalf. In New Zealand we’d call this Service Aggregation given our size. I.e. Given the scale of the market here the likelihood of brokers only managing Cloud services is quite low. They should be vendor neutral. The idea behind the role is to create customised services from potentially a variety of providers so if Cloud Brokers align themselves with specific vendors and technologies their customer may not be getting the best deal or the best outcomes. 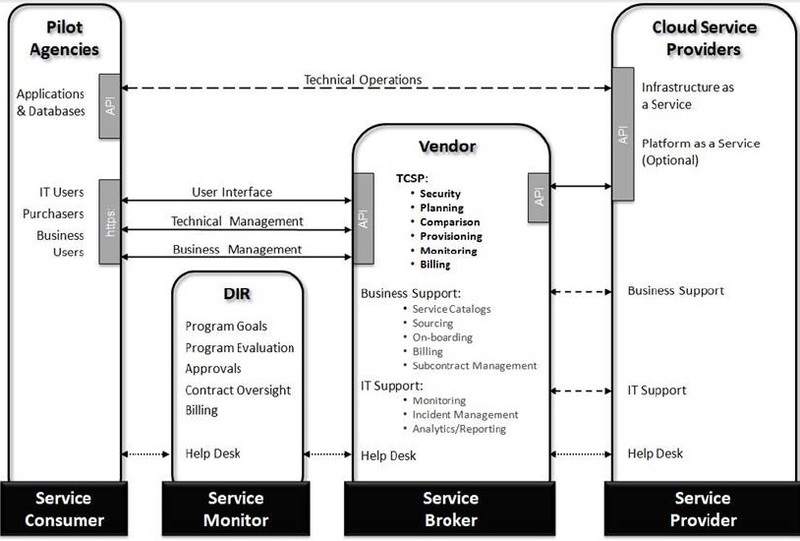 For the technologies that the Cloud Broker offers, they should be trained and certified in the design, transition, and operation of the products. They need to be comfortable with being able to integrate various products into a cohesive solution. The ability to be close enough to the customer that they can recognise new challenges, opportunities, and requirements. Then, being able to take those elements and create, or modify, a solution to meet the needs. Experience. One of the greatest skills shortage in ICT at the moment is pretty much anything relating to Cloud. I think that the service aggregation model is a better place to start. Given the size of most New Zealand companies this is probably enough for the time being. Also, most companies are not going to move everything to the Cloud overnight, if ever. For example we still need to be able to support legacy systems and other services that may not move to the Cloud right away, if they ever do. Delivering ICT Services then is a complex mix of aggregation that most of us do already by default. That is the role of the ICT organisation today. The other debate companies need to have should be; is it better to outsource service aggregation to a third party or is it better to develop that capability in house? Which makes more sense? Cloud is not only “just another service” but also brand new capability. That new capability demands a different management approach to extract the value that it presents. What is abundantly clear is that the role of a service aggregator, whether internal or not to a company, is going to become more and more critical as time progresses.